Book editor Mary Ann Gwinn is leaving after 34 years of deadlines, interviews and reviews. She looks back at notable adventures and thanks you, the readers and writers who built our city of literature. Almost 34 years ago I drove into Seattle, right through I-90’s “Portal to the Pacific” tunnel into a rainy, gritty town. I brought a suitcase stuffed with climate-inappropriate clothes (no raincoat), a couple hundred dollars and a Volkswagen diesel Rabbit. The Rabbit had loped out of Missouri and across the Great Plains, hopped the Continental Divide and braved a terrifying snowstorm on an Idaho mountain pass. It was done. One year later, I sold it for parts. I had pushed west to the edge of the continent because of a job offer — three months as a temp reporter at The Seattle Times. Risky, but the small-town daily in Missouri I was reporting at was cracking up like an iceberg. I popped in at The Times newsroom (in those days you could walk right in), where a harried man in a white shirt and skinny tie told me that 13 people had just been murdered in an after-hours gambling club called the Wah Mee in what was then called Chinatown. Did I want to cover it? If I sound nostalgic, indulge me. 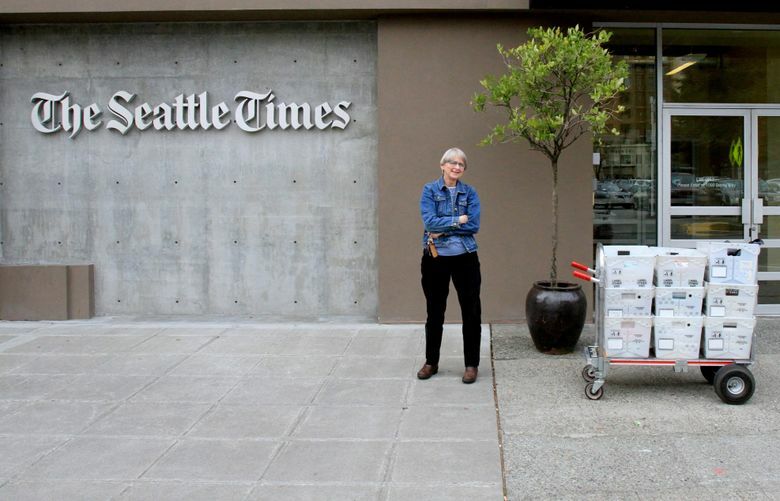 I’m retiring from my full-time job at The Seattle Times. You will still see my mug and byline here — I’ll be writing about a third of the Lit Life columns. The task of writing about books will be taken up by my talented and terrifyingly efficient colleague and friend, Moira Macdonald. I will continue to appear on Well Read, the books and authors television show on KCTS Channel 9. So I will still be writing about books, but it does feel like the end of something — more than 30 years of thrills, a lot of hard work and a little heartbreak. I would love to go on at length about the years of my reporting career (snow caves, grizzly bears, even a mob murder). Despite a slow start — when I asked, “Where’s Chinatown?” I did not get to cover the Wah Mee massacre — that era culminated in winning a Pulitzer, along with Bill Dietrich, Eric Nalder and Ross Anderson, in 1990 for our coverage of the Exxon Valdez oil spill. Talk about heartbreak — that experience was an epic lesson in just how terribly humanity can screw up. But you are probably reading this because you care about books. For the last 18 years I’ve been The Seattle Times book editor. Like most jobs it has been marked by toil and frustration, but every setback, inconvenience and minor humiliation has been worth it. 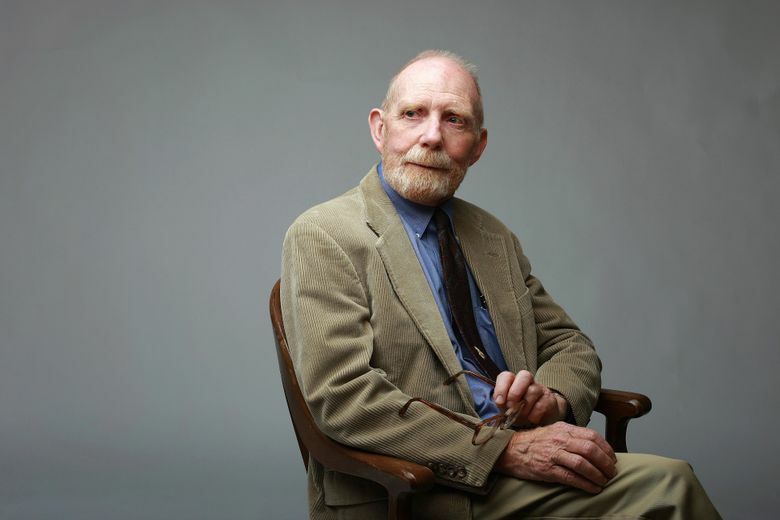 • Interviews with Ivan Doig. Three times I traveled to his house in Innis Arden. 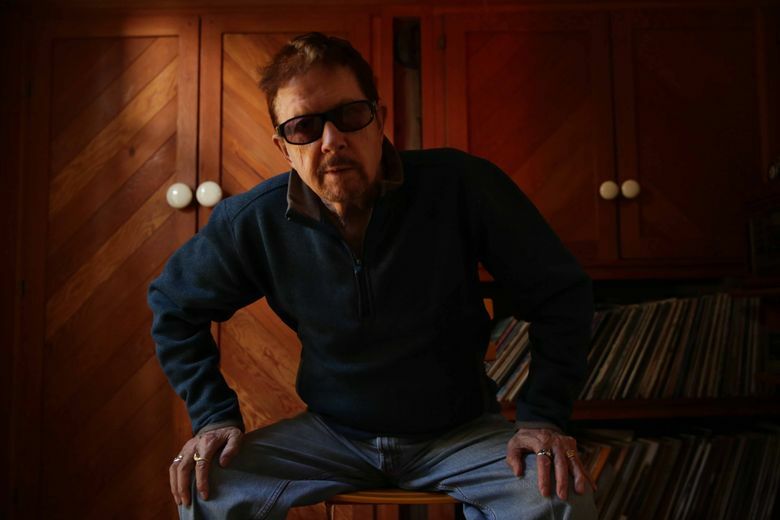 We sat in his sunny dining room and talked about reading, writing and Montana, while his wife, Carol Doig (I can never think of Ivan without Carol), looked on. Ivan talked like he wrote — in short, eloquent sentences that always packed a punch (often a punch line; he was incredibly funny). Ivan died in 2015 of multiple myeloma after battling it for years — he had kept it a secret from all but his closest friends. I realized belatedly how much those interviews had cost him, and what grit and courage it took to write and publish books right until the end. 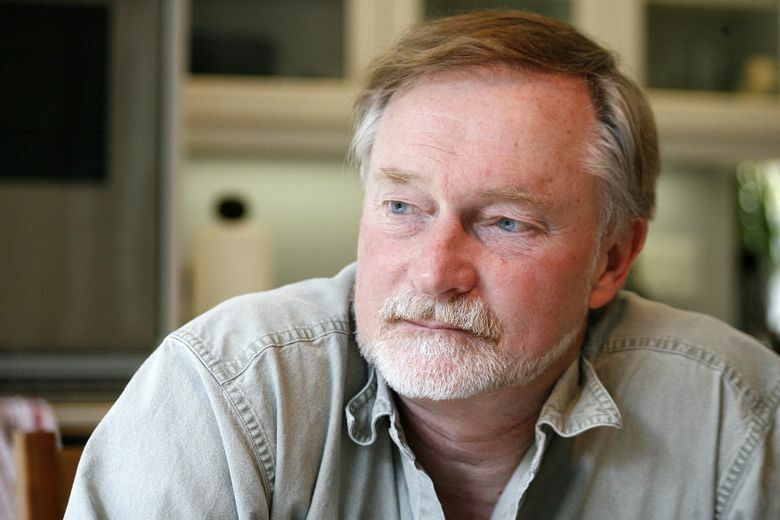 • Watching former Seattle author Erik Larson fret before the publication of each of three books. Eric, now a Manhattanite, was always exquisitely neurotic about whether the upcoming book would be successful and worried about what he was going to write about next. Two of these books were “Devil in the White City” and “In the Garden of Beasts,” which collectively have sold many millions of copies. I bet he is still worrying. • The old Northwest Bookfest. Seattle had a wonderful book festival for several years; when I first took on this beat it was held in October on Pier 48, where you could hear the waves lapping under your feet while you listened to Sherman Alexie crack wise. It was cold, damp and exhilarating, and I’m wondering why the city can’t sustain a book festival. • Reading David Guterson. David’s eye for this region and its character is unblinking, and he is a true poet. Every book of his has left me sitting in my reading chair at the end, a bit undone. Thanks, David. • Neal Stephenson’s books. Of all Seattle author Stephenson’s brainy and challenging books, “Seveneves” is my favorite. After I read his epic of humanity’s future in space, I thought, well, maybe we will make it. • Listening to Timothy Egan talk about just about anything. You know that Irish stereotype about the gift of gab? In this case, it’s true. 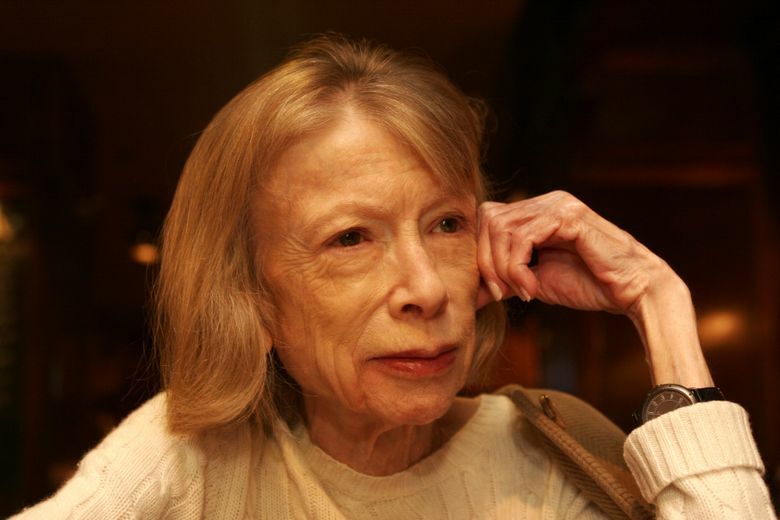 • Observing the waning evening light fall across Joan Didion’s face as we sat at a table in the Alexis Hotel and she talked about “The Year of Magical Thinking,” her heartbreaking account of the year after her husband, John Gregory Dunne, died. An out-of-body experience. • Following Frank McCourt’s Irish lilt as he expounded on his memoir “‘Tis,” crammed in a tiny office on the second floor of the University Book Store. See previous “gift of gab” comment. • Encounters with a couple of my very favorite authors while they were, ahem, three sheets to the wind. One met me in the lobby of the Four Seasons Olympic, marched us up to his room, said, “I need vodka” and downed a minibar bottle. Then he reclined on his bed while I interviewed him. I felt like his psychiatrist. Maybe, at that point, I was. • Marveling at Gloria Steinem, who, right off a plane, greeted admirers in the Well Read studio. By now, she must have met millions of people. She looked like she was glad to see every single fan. I know one 14-year-old girl who will never forget. • Watching David McCullough’s face light up as he talked about his latest biographical subject, John Adams. I think that in some strange way, David becomes the people he writes about. 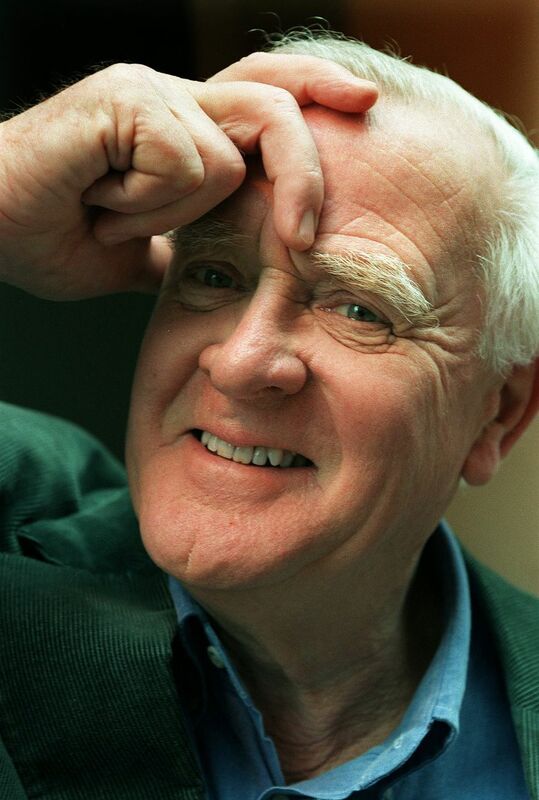 • Interviewing John le Carré in the bar at the Alexis. He had read my review of his latest book. He went over it line by line, complimented me on what he liked and dissected what he disagreed with. He’s probably my favorite author of all time. This is a profound sort of taking care, and I will never forget it. I could go on, and on. A personal 45-minute lecture from New Yorker editor David Remnick about his biographical subject, Barack Obama. Picking William Gibson’s brain about the future. Meeting Salman Rushdie in the Well Read studio, and realizing that nine years under a death sentence had made barely a dent in his intelligence and zest for life. Those were good times, but the best moments have been discovering a book that I just KNEW our readers needed to know about, the kind only a local paper is likely to pick up on. Coll Thrush’s history of Seattle’s indigenous people and places, “Native Seattle: Histories from the Crossing-Over Place.” Amanda Coplin’s wonderful novel of Eastern Washington, “The Orchardist” — she was 28 years old when she published this shimmering piece of storytelling. Tony Angell’s masterful natural histories of crows and owls, and his writing partner John Marzluff’s epic knowledge of birds of all kinds. Oh, and that book about the 1936 University of Washington crew team that vanquished Hitler’s hand-picked team in the Olympics — Daniel James Brown’s “The Boys in the Boat”. Watching that book become a best-seller renewed my faith in the American reader. I need to thank some people. First, the true believers in Seattle’s book community — the booksellers, the authors, the folks who run Seattle Arts and Lectures. The passion of the book nerds who created the Seattle Review of Books. The dedicated librarians at both the Seattle Public Library and the King County Library System, including the librarian of them all, Nancy Pearl. The geniuses who started Hugo House. My bosses, who have indulged my bibliophilia. The other is you, the reader. You who have written to me, thanked me, disagreed with me, and showed me how much you care about the written word. You are the one who keeps literature going — without you, none of this would happen. In some profound and almost inexpressible way, it’s the soul of what makes us human. Nothing the human race has ever invented is more cool than a book. Dangerous and true, and thank heaven for it. You can still reach me at mgwinn@seattletimes.com. See you in the paper. Mary Ann Gwinn: mgwinn@seattletimes.com. Gwinn appears weekly in the Bookmarks segment of “Well Read: A Series for the Serious Reader” — airing on KCTS9 every Sunday at 12:30 p.m. For archives of past episodes, www.wellread.org. On Twitter @gwinnma.